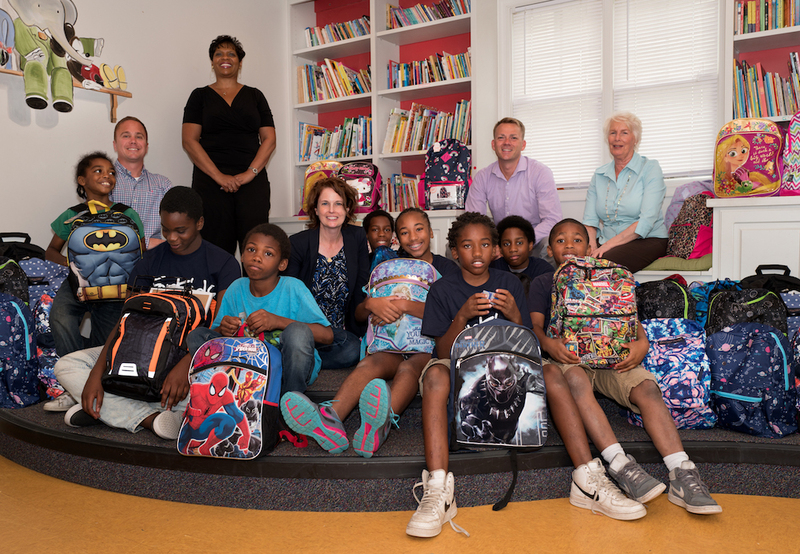 The Dragas Companies continues its 50th anniversary celebration with a donation of 50 “school-ready” backpacks to ForKids’ back to school drive. The drive helps K-12 students and families that are homeless prepare for a successful school year with access to supplies needed for school. The backpacks are provided by The Dragas Companies and were packed with donations from Dragas’ employees. Each is filled with school supplies, including binders, scientific calculators, loose-leaf paper and writing and coloring utensils. These donations are part of Dragas’ long-standing commitment to helping level the educational playing field so that all students have the opportunity to succeed.